Earshot Jazz is committed to creating equitable and safe(r) spaces for all people, including musicians, performers, audience members, employees, and volunteers. 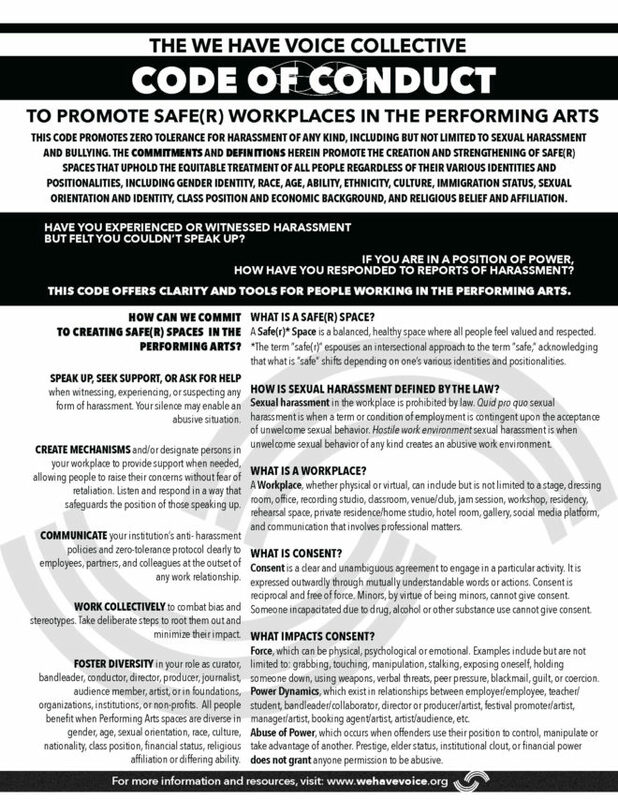 We are proud to sign and adopt the We Have Voice Code of Conduct for the Performing Arts. We Have Voice is a collective of 14 musicians, performers, scholars, and thinkers from different generations, races, ethnicities, cultures, abilities, gender identities, economic backgrounds, religious beliefs and affiliations. More information available at wehavevoice.org. For questions about the code or to share feedback about an experience, please email tara@earshot.org.